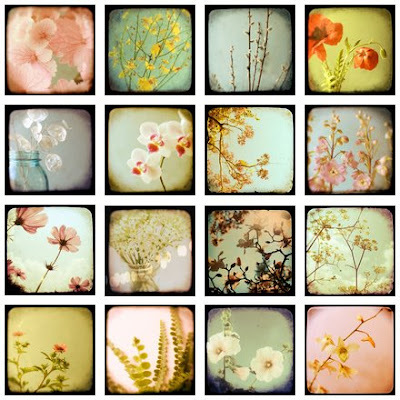 or the first day of spring I thought it was apropos to share one of my favorite photographers, Alicia Bock. Her photographs are gorgeous and I love the ethereal quality they have. She's the type of photographer I aspire to be. She also has a beautiful blog called Bloom, Grow, Love, swing by and say hi to her and look around a bit. I love the photograph featured on this post, I have a fondness for Road Less Traveled themes. I hope you all have a lovely first day of spring, and live somewhere warmer where you can appreciate some flowers and greenery! What beautiful flowers! The photographer does a great job of capturing them in all their romantic glory.